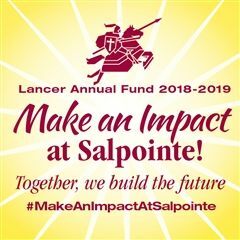 They have demonstrated the core values, the Lancer values, that we teach at Salpointe both inside and outside the classroom. Each teacher nominated a student, and they did so for many reasons: academic, strong character, kindness, graciousness, helpfulness, inspirational to others, etc. These students are, in fact, the epitome of what it means to be a Lancer and exemplify the values of prayer, service, and community. 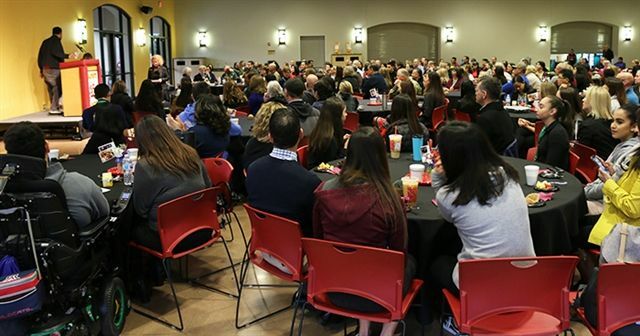 The awards breakfast was attended by 80 students, their parents, and nominating faculty. These 80 students are a sampling of the diverse and influential student body. Every day, they demonstrate that there are countless ways to make an impact - by encouraging their peers, coming to class smiling, or even pushing the boundaries of their own understanding. Their acts of kindness, bravery, and generosity do not go unnoticed or unappreciated.